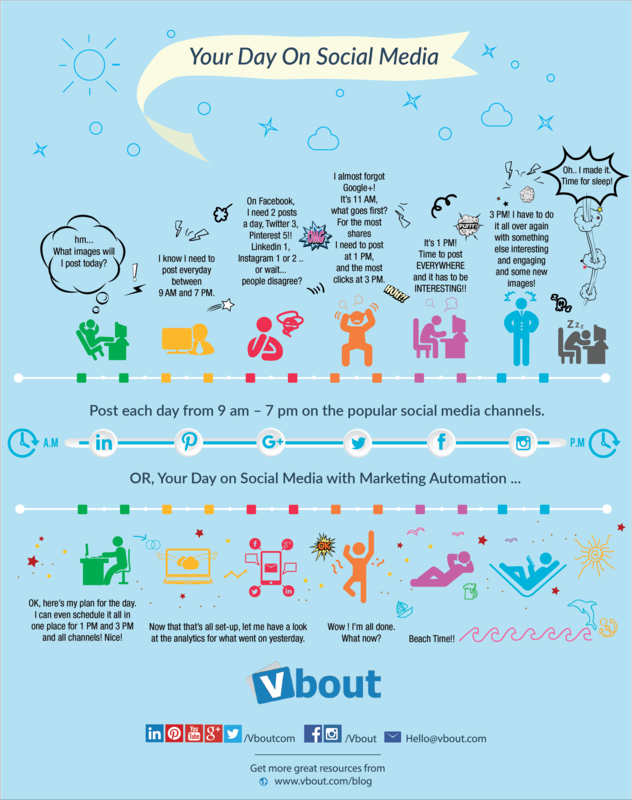 Your daily social media dance, in one infographic. Your strategy needs to reflect the behavior of your target market, so pay attention to your analytics to see when they're hanging out online. There are also general guidelines to consider around when, where and how often to post. Here's a quick story on Your Day in Social Media to highlight some of those guidelines.